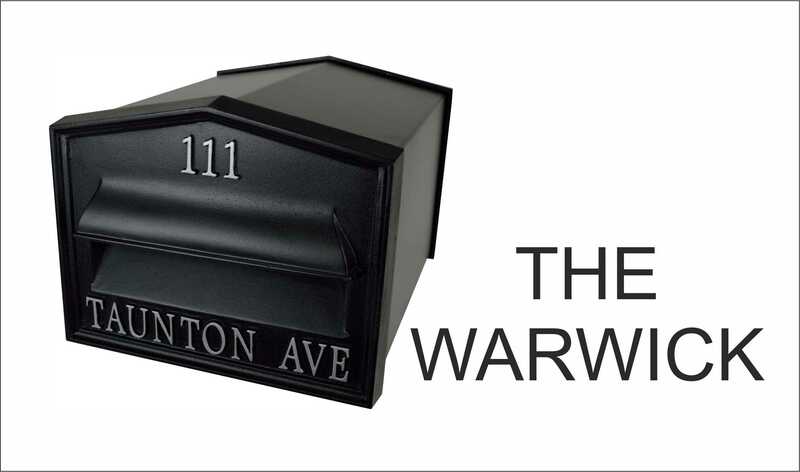 The Warwick a brand new post box designed in the USA post box style, available only from Lumley Designs. Fixed to a ground post or railings the Warwick is an eye catching post box that comes complete with solid cast iron letter plate front with large letter opening, a rear durable cast iron secure lockable door two keys and strong centre connecting box. 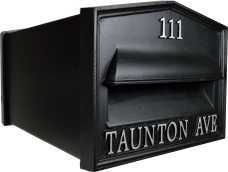 Each Post box is cast individually and can be personalised with lettering numbers and motifs if required, an extra cost is charged for this service, for more information please contact us we will do our foremost to fulfill your requirements. Dimensions. Post box front and rear door. Height 240 mm x Width 305 mm. Overall measurement from front to back. Length 395 mm. P&P £10.00 UK only for deliveries outside the UK please CONTACT US at Lumley Designs. IF YOU WISH TO PURCHASE THE WARWICK POST BOX PLEASE CLICK HERE TO VISIT OUR WEBSITE LUMLEY DESIGNS. 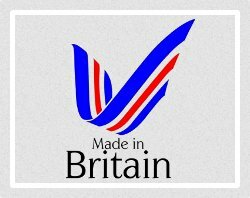 Robin Lumley has been an industrial designer for over 25 years and has unrivalled experience designing cast iron products. Robin is passionate about craftsmanship, innovation and is committed to excellence.